t is a great privilege in setting up a support group to help patients and families diagnosed with prostate cancer. 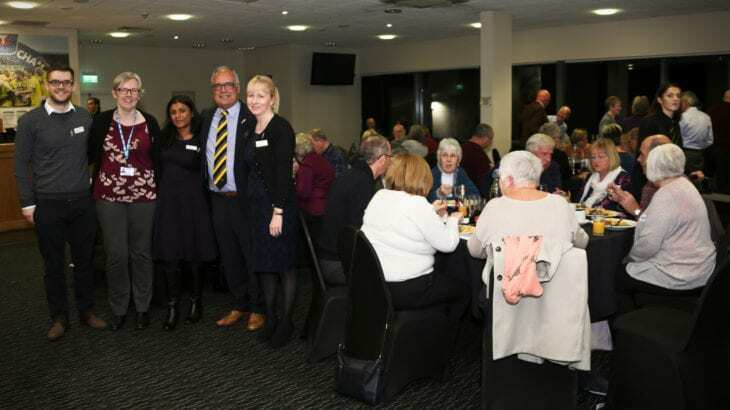 Out heartfelt thanks to the Chairman of Burton Albion Football Club, Ben Robinson who again has offered valuable resources to get the support group going. In our first meeting, we had 25 men and their partners who attend the event at Burton Albion’s Pirelli Stadium. The idea of the event came about after holding screenings at the stadium during match days. The project has had also support from my hospital in Burton and Burton Albion Community Trust. 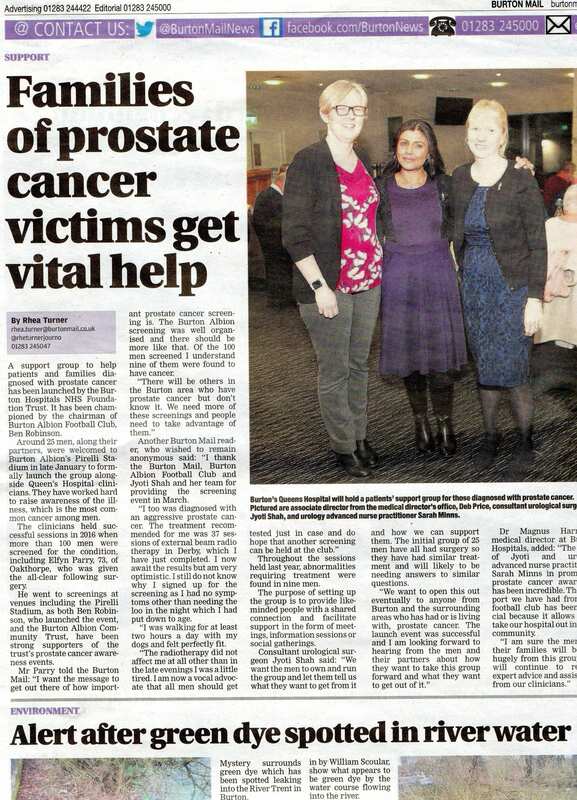 And again, thanks to Burton Mail who continue to profile our work which helps us to inform more people about prostate cancer in the region. Please check out about the project in Burton Mail 7th February 2017.